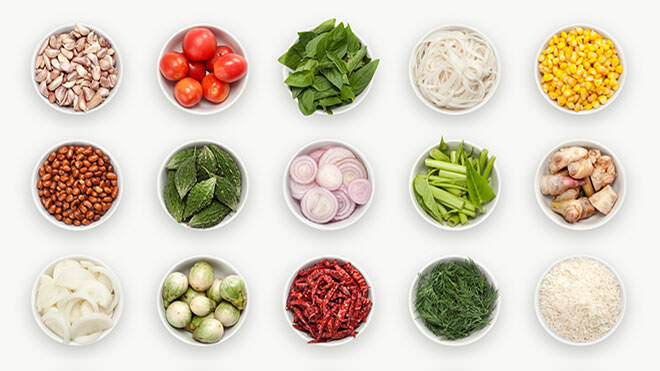 This recipe contains a number of Thai ingredients which can best be found in a Chinese or Thai food store. 1. First prepare the curry paste. Place the lemon grass, galangal, garlic, shallots, shrimp paste, coriander seeds and root, chillies and salt in a food processor. Blend to a fine paste. 2. In a large, heavy-based saucepan, heat the stock. Add in the paste and guinea fowl meat. Simmer for 3-4 minutes and add in the fish sauce. 3. Add in the drained apple and pea aubergines and simmer for a further 5 minutes. 4. Mix in the roasted rice and simmer for 2-3 minutes. Remove the guinea fowl curry from direct heat and set aside to cool. 5. Layer two pre-soaked lotus leaves on top of each other. Place a quarter of the cooled guinea fowl curry in the centre of the leaves. Join the sides of the leaves together, securing with cocktail sticks. 6. Repeat the process, making 4 parcels in all. 7. Place the parcels in a steamer (ideally a bamboo one) and steam for 10-15 minutes. Serve at once.